It's no secret that kids have a very short attention span, making it more challenging to teach them to meditate or keep their attention long enough to show them yoga can be fun. Using props and toys is a great way to get and keep kids' attention as you teach them yoga, and we may have just found the most adorable toy there is to help you achieve just that. Meet Meddy Teddy. 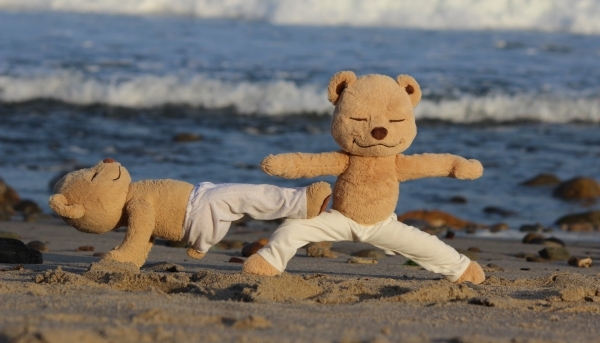 Meddy Teddy is a meditating, yoga-posing teddy bear that helps make learning fun for kids. He has an internal, bendable frame that you can set in different yoga postures to demonstrate various asanas to the little ones. 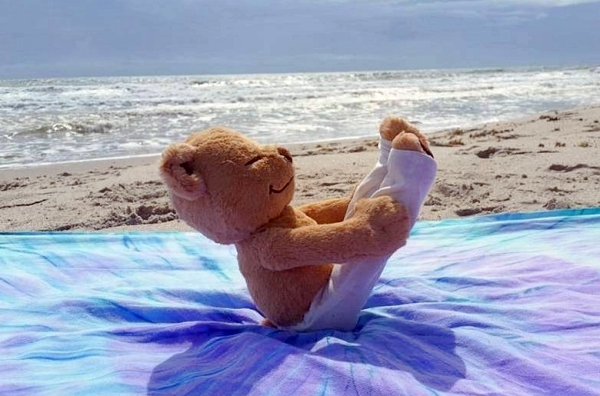 Thom Jordan came up with the idea of a bendable, meditating teddy bear when he spent three months meditating in India. When he got back to LA, he shared his idea with his younger brothers and the rest of the family, who loved it so much that while Thom went back to meditating, his mother Debbie created a bendable teddy bear in white pants that can hold different yoga poses. As stated in their crowdfunding page, "Meddy's Mission is to help kids around the world lead healthier, more loving lives through yoga, meditation, and mindfulness practices." And based on all the positive feedback they've gotten, Meddy has been super successful in achieving this mission!